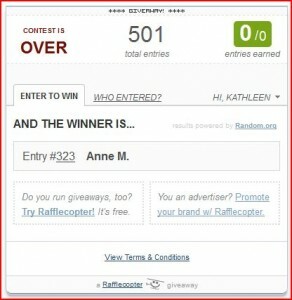 Congrats to Anne M #323! I just sent you an email so keep a lookout for it! You may have noticed that my posts have been a little light the last week…we have been busy here and now I have sick kids as well! I’ll be back with some great posts as soon as we are all feeling better! Stay healthy!